Acoustics First® Quadratic Diffusers provide balanced sound throughout a performance space and help reduce excessive sound concentration or “hot spots”. 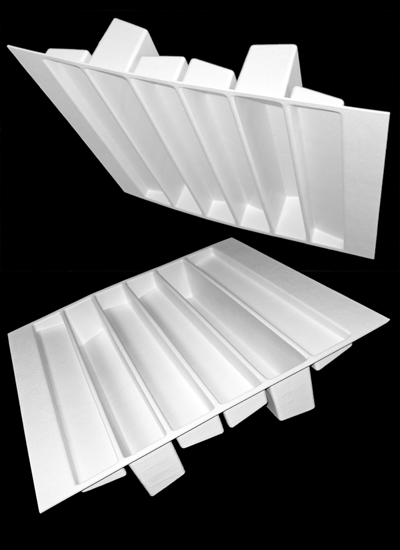 A true Quadratic Residue Diffuser is designed so that the reflected sound waves are harmonically dissociated from the source waves and spread over time to create a more neutral listening space. By incorporating quadratic residue number sequences to provide uniform broadband scattering, acoustical sound energy is diffused and high-Q (steep peaked) reflections are reduced. 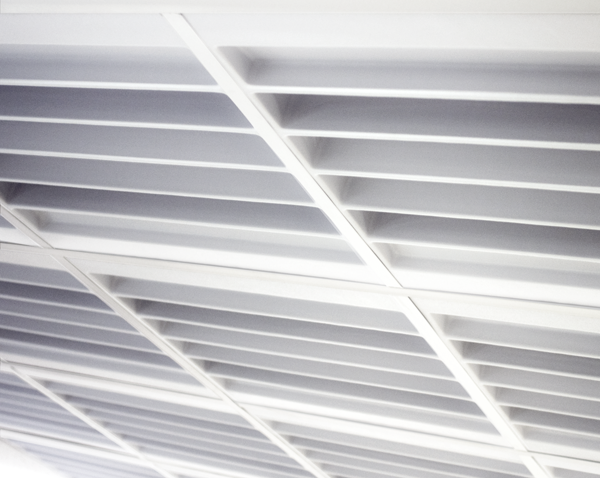 Undesirable specular sound reflections from flat ceilings are eliminated without resonance or excessive dampening. Borrowing a feature from the patented Art Diffusor® design, the well bottoms of the Acoustics First® Quadratics are angled at 10 – degrees to extend the units range and scatter higher frequencies that would otherwise reflect in a straight line-of-sight path, back into the room. Uses include band rooms, sound studios, worship facilities, auditoriums, and performing arts theaters, where its wide bandwidth, low cost, and choice of finishes make it a preferred selection for diffusion. Although it is a one-dimensional phase grating diffuser and produces a directional hemispheric polar response, the units may be oriented in any direction and, by alternating 90 degree rotation, will provide two-dimensional diffusion outside of the near field. Useful range of diffusion begins at 600 Hz and extends to 4000 Hz and above. It also provides some low frequency diaphragmatic absorption in the 250Hz range due to its flexibility and outer dimensions. This may be enhanced or reduced with back-fill insulation or dampening, as needed to control mid-bass.